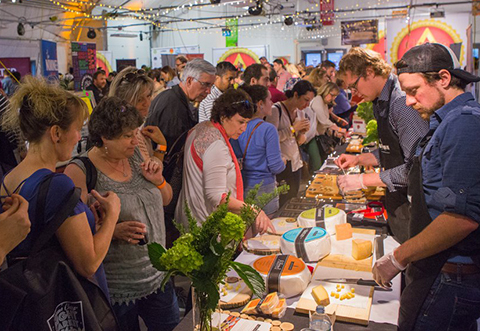 Groups and tours are most welcome at The Great Canadian Cheese Festival. Fast processing upon arrival at the Festival’s main entrance at Picton Fairgrounds. Access to Food Court, featuring—NEW!— J.K. Fries and Braised-Beef Poutine from Jamie Kennedy Kitchens. 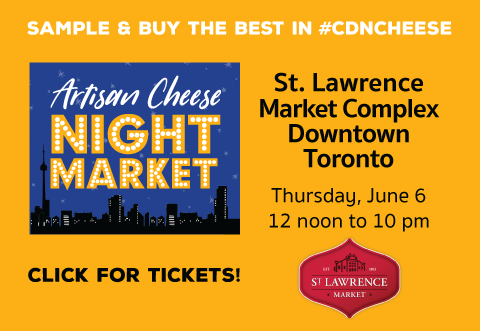 Groups of 10 or more – $30 each + HST SAVE $20 PER TICKET! Groups of 30 or more – $25 each + HST SAVE $25 PER TICKET! Please email the Festival’s Ticket Office by clicking here with the particulars of your group, or simply call 1-866-865-2628. After your request is accepted, you’ll receive a password to purchase tickets online no later than May 26, 2017. All sales are final. There are no refunds. Cancellations can be transferred to 2018.